Combine butter, sugar, vanilla, and flour. Add eggs one at a time and continue to beat. Stir in Kahlua, corn syrup and milk, mixing well. 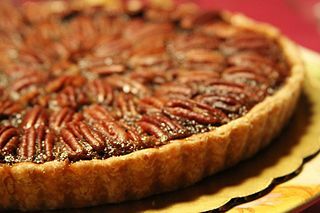 Fold in pecans and bake at 400 degrees for 10 minutes; reduce heat to 325 and cook 40 minutes until firm. Yields 2 pies.